March's best Switch eShop games! Incredibly, we've already reached the end of March (that's a quarter of the way through 2019 already!) and the Switch eShop's catalogue of games continues to expand at an alarming rate. As such, it's time to bring out the good old Nintendo Life eShop Selects awards! These awards aim to celebrate the best of Nintendo's digital store, giving some love and attention to the games that could so easily be missed in the Switch's ever-growing library. So, let's get started! 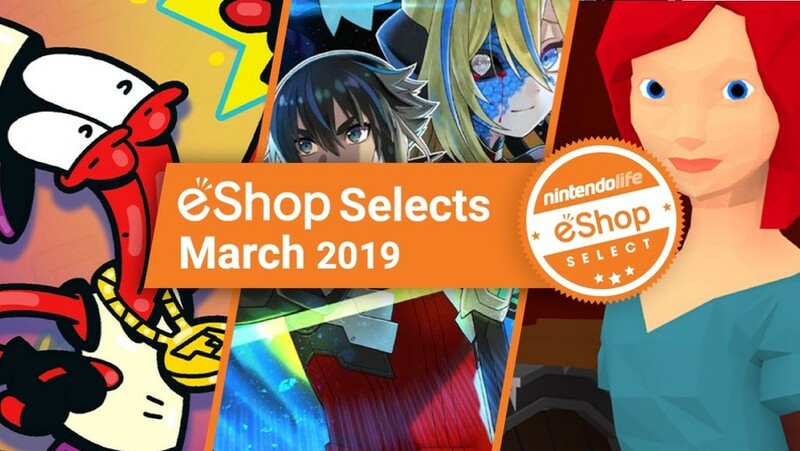 Here are the best Switch eShop games of March 2019! While these titles didn't quite make our top three this month, they're still certainly worth checking out. 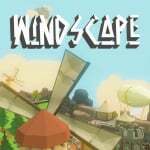 Taking third place this month is Windscape, an RPG which reminds us of some of the classics of its genre while offering a slightly different experience overall. We gave it a 7/10 in our review, describing it as "a relaxed and engrossing alternative [to modern action-RPGs] that’s designed to give players of any age or skill level the chance to explore, battle and craft at their own pace". Check it out if you think it might be your thing. 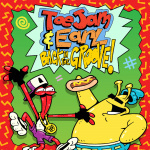 Second place goes to ToeJam & Earl: Back in the Groove, a cartoony, sci-fi twist on the classic roguelike genre. Another title earning a 7/10 from us, Back in the Groove is a funky, distinctive game that should please the nostalgic while being unique enough to attract, and satisfy, the curious. We praised details such as "the exhaustive documentation and varying minigames" in our review. Taking first place this month, though, and running away with a 9/10 review in the process, is Blaster Master Zero 2. This game is pure, retro platforming goodness at its finest, winning the team over with its tight platforming action, memorable boss battles, plentiful side content, and gorgeous pixel art. We'd recommend this whether you’re a long-time fan of the series or even if you're just getting into it for the first time - if you're looking for something new to play this month, make sure to check it out. How we decide our eShop Selects top three: As we reach the end of every month, the Nintendo Life staff vote on their favourite titles from a list of games selected by the editorial team. To qualify for this list, these games must have been released primarily as a digital Nintendo Switch eShop title in that particular month, and must have been reviewed on Nintendo Life; we select the qualifying games based on their review scores. Staff are then asked to vote for three games that they think deserve to sit right at the very top of that list; first choice gets 3 points, second choice gets 2 points, and third choice gets 1 point. These votes are then tallied to create a top three list, with the overall winner taking that month's top prize. Where are Baba is you and assault android cactus+? I’m playing Valley and MBZ2. You couldn’t pick two more different games but I’m really enjoying both. Especially MBZ2. Baba is You is one of the greatest puzzle games I have played in years and has been up at the top of the sales charts on the eshop! Not on the list above and no review! Is this just a blind spot on this site or has it been willfully ignored? Baba is You is my favourite. Baba Is You, no contest. Brilliant game. Interesting that 2 of the top 3 only scored 7/10, while 4 of the runners up scored 8/10. Obviously scores are entirely subjective, but this feels like the first month in ages where there aren’t half a dozen 9/10s battling for supremacy. @gaga64 Yeah, a little bit of a quiet month for quality eShop releases. Actually reviewing the games that are worthy of a 9/10 would help though, haha. Final Fantasy 7 is up there for me, so yup, that one. It is genuinely insane that Baba is You is not on this list. This chart makes no sense because you no longer write reviews. Should stick with the best retail games and that's it. I guess you couldn’t include Baba is You since you REFUSE to review it for some odd reason. Seems weird to not include Baba is You, considering it's a notable indie release and is getting some great reviews. Anyway, Toejam and Earl is the only Switch game I downloaded this month, although I'll definitely get to BMZ2 eventually. Out of all the choices in the poll, Blaster Master Zero 2 is the only one I got and I loved it. Just beat it yesterday too! Not the best month but the notable absences of Baba is You (as others have mentioned) and Nuclear Throne hardly makes this list complete. I mean those two are at least 5 times more interesting than something like Golf Peaks. @sandman89 death metal, Vikings, giant sword, gratuitous gore. Outstanding game! Only game I bought this month is ff7. But I will be getting bmz2, didn't see it on the Aussie eshop yet but might have missed it. Turok is what I had the most fun with this month. Fast paced action with great sense of exploration for an FPS. 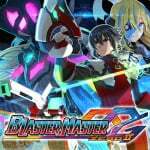 Blaster master Zero 2 looks pretty rad even though its forgettable soundtrack was composed by a bunch of cinnamon rolls. Blaster Master and Toe jam and earl are the only games on the list worth playing. So much garbage being released. Glad to see TJ&E on the list, I had a lot of fun with that game. I intend to buy the new Blaster Master Zero as well, but I'm gonna replay the first one a bit before buying it.